Your complete relaxation is a priority at this cozy oceanfront getaway. In addition to the beach, an indoor pool and a seasonal outdoor pool offer year-round opportunities for splashing and lounging. Play a few rounds of tennis during your stay, and keep up your workout routine at the fitness center. Nearby grocery and dining options make mealtimes a breeze, and barbecue grills and a picnic area are available for al fresco enjoyment. After a day of sightseeing and soaking up the sun, you can find plenty of nightclubs and a variety of entertainment options just a few blocks from the resort. 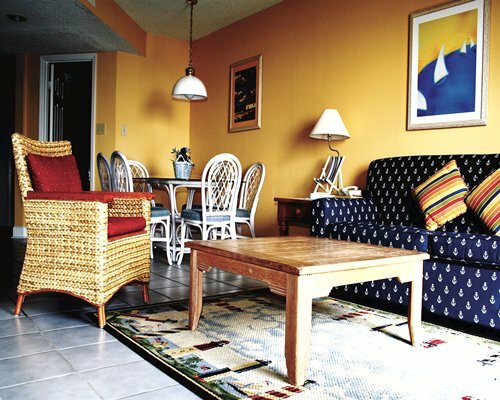 Air-conditioned accommodations offer you everything you need for a comfortable stay. Studio Units sleep 2, One-Bedroom Units sleep up to 4, Two-Bedroom Units sleep up to 6, and Three-Bedroom Units sleep up to 8 guests. All units feature full kitchens with full-sized refrigerator/freezers, stovetops, microwaves and dishwashers. Bathrooms include shower/tub combinations, complimentary toiletries and hair dryers. 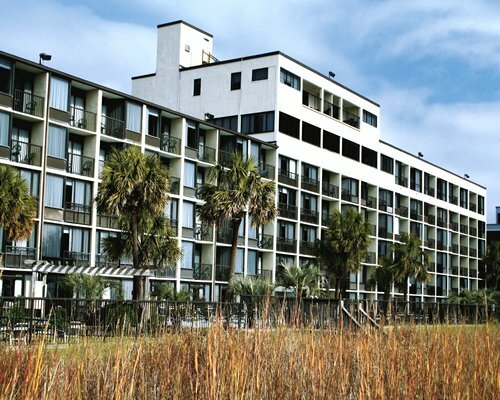 North Myrtle Beach is place of great natural beauty, with 9 miles of sandy beachfront. This home of championship golf offers you 120 fairways to choose from, and there's plenty of fun for the rest of the family too. From mini-golf and seaside amusement parks to water sports, fishing and diving, to outstanding shopping, dining and live entertainment venues on the Grand Strand, North Myrtle Beach has it all. And with so much to do nearby, this oceanfront resort is the perfect place to take a break and unwind. The nearest airport is the Myrtle Beach Int'l Airport, about 20 miles away. From the airport, take Highway 17 Bypass north to North Myrtle Beach. Turn right on Main Street and left on North Ocean Blvd. The resort is 1 1/2 miles further on the right side of the road.